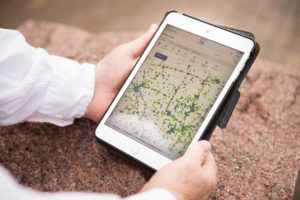 RR Sites Map is accessible via desktop computers, tablets and smart phones. The Remediation and Redevelopment (RR) Program in the DNR oversees the investigation and cleanup of environmental contamination and the redevelopment of affected properties in Wisconsin. The RR Program also maintains a public database that contains information about known hazardous substance discharges to the environment, investigations, cleanup activities, closure requests, remaining actions needed, spills requiring emergency attention and more. This public database is called the Bureau of Remediation and Redevelopment Tracking System (BRRTS) on the Web (BOTW). BOTW is augmented by an associated GIS mapping application, called RR Sites Map, which provides a visual representation of data available in BOTW. This interactive map allows users to geographically search for open and closed sites, obtain basic information about a site, click on a link that goes directly to full site information, and more. RR Sites Map is accessible via desktop computers, tablets and smart phones. Together, BOTW and RR Sites Map are collectively referred to as the Wisconsin Remediation and Redevelopment (RR) Database (WRRD). These two public tools provide easy online access to detailed information about conditions and environmental activities at tens-of-thousands of cleanup sites around the state. This database was formerly referred to as CLEAN, the Contaminated Lands Environmental Action Network.